Ayesha Aziz, at the age of 16 was way ahead of us in career decision where we all were struggling to pick the right stream or breaking our heads to crack the board examination. 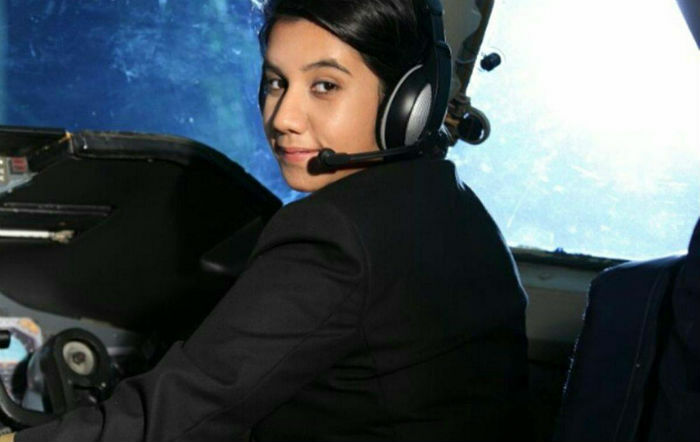 She received Student’s Pilot License from the Bombay Flying Club in 2011 and got recognised as the first young woman pilot of the country. Ayesha, at 21, received Commercial Pilot License and is flying high. She will be flying passenger aircraft soon in the country. Her interest to fly aircraft first started when she used to fly with her parents to her mother’s native place Kashmir, once or twice a year. “While I would enjoy take-off and landing of the plane, my brother would be scared and always sleep during the flight,” she told The New Indian Express. Ayesha proudly says that she could achieve her dreams only because of her parents’ strong support and especially her Father – a Worli-based businessman. Next on her to-do-list is to fly an MIG-29 fighter jet at the Sokul airbase in Russia.